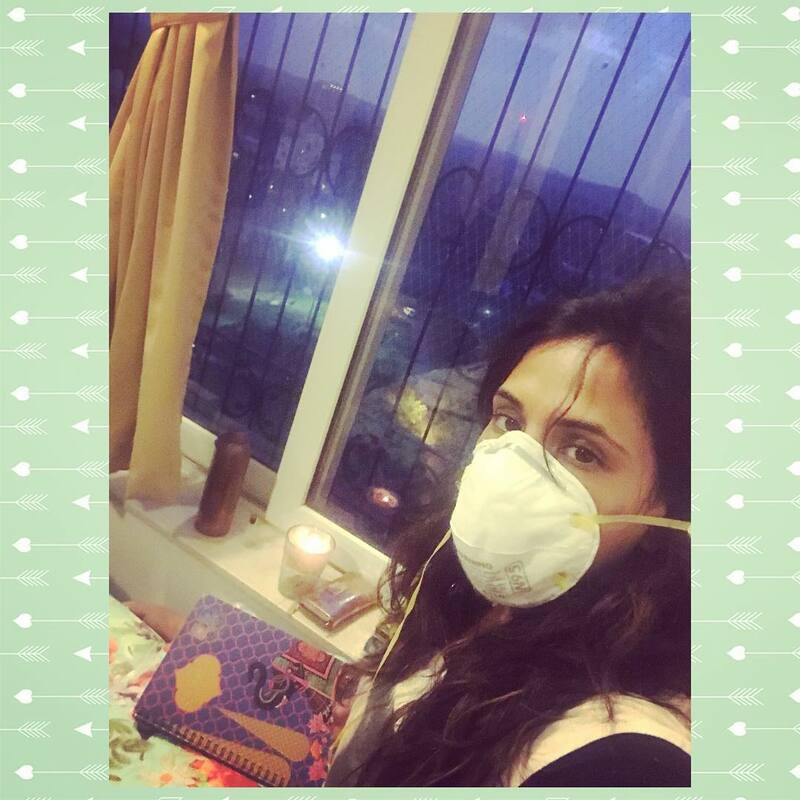 After Aamir Khan and Kiran Rao, Richa Chadda is the latest celebrity to contract swine flu. Richa, who is currently looking forward for the release of her upcoming film Fukrey Returns, was diagnosed with Swine Flu after she returned from the US. The actress posted a picture of herself on Instagram while wearing a mask and wrote, “I wasn’t taking a break, so God gave me one. Hehe. #MeTime?”. While Richa was looking forward to a break from a hectic schedule, the actress was happy that she got one due to the illness. The Tamanchey actress, reportedly attended the trailer launch of Fukrey Returns wearing a mask and is feeling a bit weak. Richa will be back with her character Bholi Punjaban in the sequel of Fukrey along with the same old cast including Ali Fazal, Pulkit Samrat, Varun Sharma and Manjot Singh. Richa was last seen in the film Sarabjit in which she starred opposite Randeep Hooda and Aishwarya Rai Bachchan. Her performance in the Indo-French Film Masaan too was appreciated by the critics. Richa also did a cameo appearance in the film Chalk n Duster. Fukrey Returns is ready to be released in theatres on December 8, 2017. A few days ago, Aamir Khan revealed through a video that he and his wife have been infected with swine flu and are currently being treated at their residence in Mumbai. Aamir and Kiran were expected to attend an important event of the Paani Foundation in Pune, but could not as they were down with the disease and did not want others to contract. Aamir is currently looking forward for the release of his films Secret Superstar and Thugs of Hindostan. The trailer of Secret Superstar has shown Aamir as a passionate music composer, who catches notices an ambitious teenager’s dreams to become a superstar with her singing abilities.